Alan Johnston 12-18-1964 to 01-24-2016 passed on to heaven from a heart attack at the age of 52 in SB Cottage Hospital. Alan was preceded by death of both adoptive parents Lee Albert Johnston St. Paul, Minnesota, Ruth Marie Davis-Holland-Johnston born in Covina, Ca. Aunt Mary Louise Johnston-Degan. Alan was survived by sister Debie Marie Johnston-Tuffley born in Long Beach now of Simi Valley, Nephew Lee Tuffley, Brother Michael Lee Johnston, wife Kathy, with children Leighann, Faith and Cara. His fathers family includes Paul Johnston of Sunland, David and Judith Johnston of Pahrump, NV. Richard and Judith Johnston of Livingston, TX. and Aunt his Aunt Marilyn Johnston-Sambar. Alan was a strong Christian man. He was adopted in Tujunga, CA. His family moved to Semi Valley where they enjoyed camping and hunting trips as well as family outings. Baptized as a young man Alan never lost his faith in Jesus Christ. Alan was a part of the work in the Alcohol Recovery in Salvation Army and attended the Esther Mallett International Bible University in Norwalk where he became a licensed Minister of the Gospel. Alan served as a missionary in China. He also traveled to South Africa to minister with The Full Gospel Businessmen Fellowship International. Alan was President of Full Gospel Businessmen Fellowship of Santa Barbara for 6 years until relocating to Ventura area where he worked for John Deere of Camarillo. Alan had a calling to street ministry and took the call in Ventura. 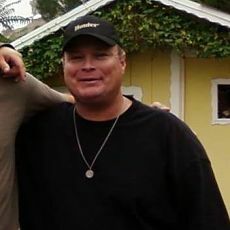 In August of 2015 Alan moved back to the Santa Barbara area to reconnect with many friends. Alan attended West Coast Believers Church of Santa Barbara residing Pastor David Breed that meets at San Marcos High School. Alan loved praying for others and walked the streets, leading people to know the love of Christ. His favorite theme was “Be Encouraged” and spoke highly of Jesus Christ whom he had a day to day and minute to minute personal relationship with. Alan loved people of all nations especially having a heart for the Chinese people. He had a kind, loving and giving demeanor. He will be sorrowfully missed my many friends and family. Memorial Services will be held at The Good Shepherd Lutheran Church 308 N. Fairview, Goleta, Ca. March 5, 2016 at 5:30 p.m. in the Fireside room. In lieu of flowers donations may be made to West Coast Believers Church 3905 State Street suite 7-295 Santa Barbara, 93105 or Good Shepherd Lutheran Church (Food Bank) 380 N Fairview Ave, Goleta, CA 93117.